Jewish Lights Publishing, 9781580231954, 32pp. Children speak about God in ways that are different from adults. They ask many questions about God, questions that can be startlingly direct. Oftentimes adults--parents, grandparents and teachers--feel uncomfortable answering them. Through fantasy, involvement and imagination, Sandy Sasso and Annette Compton invite children of all faiths and backgrounds to encounter God openly through moments in their own lives--and help the adults who love them to be a part of that encounter. This book provides a gift of images that nurtures and encourages children in making meaning of their world. 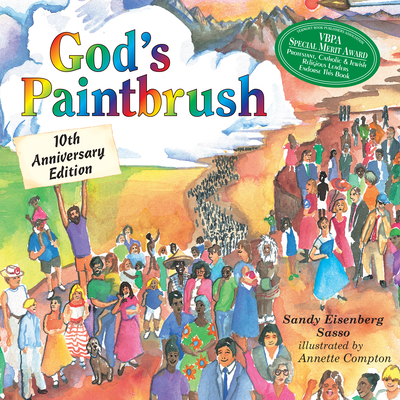 With over 100,000 copies in print, God's Paintbrush remains one of the most popular spiritual books for children of all faiths, all backgrounds. This special anniversary edition includes new ideas for interaction between adults and children, and an important new message from the author.